The story of the Moving Statue of the Virgin Mary in Ballinspittle, Co. Cork (Broadcast 1992). 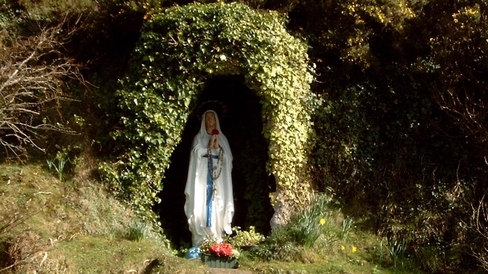 In July 1985, in the village of Ballinspittle, Co. Cork, a grotto statue of the Virgin Mary came alive and moved. As news of the phenomenon spread, thousands of pilgrims and spectators arrived. Seven years on, we return to see life in the village.